A CRM tool will improve efficiency in this aspect. The better your relations with your customers the more your organizations goodwill and profitability. Your most important customers – those who give you maximum business or profit – should be treated with care. You must pay close attention to their needs and give special attention when it comes to customer care. Here’s a business truth: every customer is important. Every customer has the potential to give you a windfall of business. But you have to treat them right, otherwise, they’ll switch to the competition at the drop of a hat. To treat your customer’s right; you must understand their needs and fulfill them better than your competition. A CRM tool will improve efficiency in this aspect. The better your relations with your customers, the more your organization’s goodwill and profitability. This is why you need an effective and efficient CRM to aid your team in building strong, long-lasting relations with customers. This is why there are certain critical aspects you cannot compromise on when you deploy a CRM for your company. Here are 5 of those critical aspects. Your CRM might have sophisticated features, but it’s useless if your staff finds the tool difficult to navigate. If this happens, you can boast about owning a sophisticated tool for customer management. But the objective of customer satisfaction will get missed. According to research by Relate IQ, almost 72 percent CRM users would trade functional complexity for an easy-to-use interface. So ensure that you deploy a tool which your staff is comfortable with. Today’s customer wants everything, and he wants it now. If you wait till Monday to process an order which a customer placed on Friday, you’ll lose customers faster than milk teeth. You need a CRM tool that empowers your team to enter data from multiple locations – social media, WhatsApp, trade shows, partner sites and more. Also, with the number of remote-working agents increasing fast, this becomes an essential feature for a CRM tool. Almost all tools and services are mobile today. Your CRM should be no different. A survey by a CRM company showed that 81 percent CRM users now access them from their mobile devices. Such functionality will ensure that you have your customer’s data available at all times, rather than making a phone call for it. Many businesses capture a lot of data about their customer. But they don’t do anything with it. In fact, most of them don’t know how to start. You just need to focus on certain key parameters to keep your customers delighted. Purchased products, purchase frequency, ticket size, buying behavior and so on, will give you intelligence on how you can delight them and also cross-sell, thus improving your revenue and profit margins. With the deluge of work, everyone gets submerged in today, it’s not uncommon to forget following up with prospects and customers on purchases. It might be alright as long as the orders are small (mind you, we said might). But what if it could’ve been a large order, especially of goods you’ve been trying to get rid of since a long time? Your CRM tool should enable users to schedule follow-ups and provide notifications when it’s time for them to do so. This will ensure that you take good care of your customer who in turn, will take good care of you. Businesses are moving at the speed of trust today. The most important factor in business today is relationships, whether you have one customer or one thousand. Every customer wants to feel like your business revolves around them. With the right features in a CRM, you can make this innate desire of theirs come true. With an effective CRM tool, you can leapfrog the competition to cater to your customers’ needs. You can deliver consistent service time after time for all your customers. This reliability will not just translate into goodwill, but also into increased business and profit. 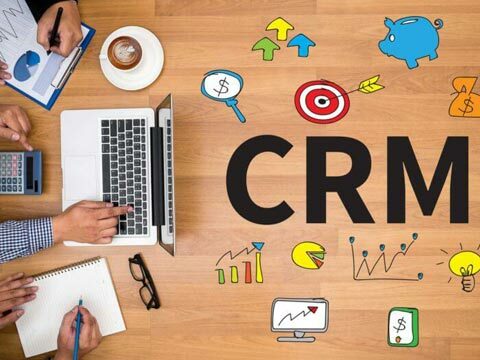 So make sure you have the right CRM tool in your business’ arsenal, one which helps you achieve all your customer-oriented goals and is easy for your employees to use.